Tottenham and Real Madrid seem intertwined this summer when it comes to the transfer market. We all know about the Gareth Bale saga but recently Real have also emerged as suitors for Spurs’ midfield target, the Brazilian Paulinho. It looks increasingly like Paulinho may choose Spurs, and if he does it would be an excellent decision. Not only that, but perversely for Spurs’ fans he would actually be doing Real Madrid a favour if he decides to move to London. With Real Madrid making big statements about Bale having to request a transfer and previous tension over similar tactics with Luka Modric last year, Spurs losing Paulinho to Real would near enough set Bale’s future at Spurs in stone. If Real pinched what looks like Spurs’ number one transfer target, it would only harden the already tough resolve of chairman Daniel Levy to keep his star Welshman. As far as Paulinho is concerned though, a move to Spurs is a better idea than Madrid. Paulinho needs to be playing first-team football in this year of the Brazilian World Cup to keep his place in the team. He’ll get that at Spurs, but not necessarily at Real Madrid. At Spurs, the only player of a similar type is Mousa Dembele. Paulinho drives through midfield with authority, has a nice range of passing and has also shown that he can score goals as well as being defensively tenacious. He is a complete modern midfielder, able to do everything Spurs need of him in the Premier League. It would depend on what system Spurs are going to be playing next year as to whether he is in a two or three man midfield, but he has all the tools to play with Sandro and Dembele is some combination. He would immediately become the main man, the guaranteed starter. At Real Madrid this would not be the case. Real’s personnel means they are likely to play a 4-2-3-1 system in which Paulinho would have to compete for one of the two spots deep in midfield. Real already have Xabi Alonso, Sami Khedira and Luka Modric that they are struggling to find game time for. As the new man Paulinho would probably start at the back of that particular queue and may not be able to force himself in to view in the major games. The glamour of Real Madrid is an enticing prospect, but the reality can be very harshly different. When even the likes of Gonzalo Higuain and Mesut Ozil are struggling to get in to the first team despite years of Champions League experience, it will be hard for Paulinho to swan straight in to the side. Spurs are trying to show that they are serious about getting in to the top four once more. Over the last few years they have made some real quality signings for good value. However, this summer it is important that they are making the signings without having to sell anyone. Although he hasn’t shown any sign of wanting to leave, it is still vital that Spurs show Bale that they are doing everything they can to get back to the Champions League, and Paulinho would be a great start. Is Alvaro Negredo an option for Tottenham? It speaks for the quality that Spain have in their squad that Alvaro Negredo is currently their fourth choice striker. Last season he scored 31 goals and also has two more 20+ goal seasons in the last few years. At 6’1” he has good size, and as you might expect of a Spaniard, excellent touch and technique. It is these qualities that have seen him catch the attention of Spurs, and plenty of other clubs around Europe. Having seen Sevilla sell Jesus Navas, he has told the club that he wants to leave in order to play in the Champions League. With big Champions League clubs with space for a new striker thin on the ground, Spurs should not be intimidated of making a move for him. Spurs need a goalscoring striker more than anything. The inconsistency of Jermain Defoe and Emmanuel Adebayor is one of the reasons they couldn’t quite get in to the top four last season. They both have their strengths and at times scored spectacular goals, but neither of them are consistent. Neither can be relied upon to get the club in to the Champions League. They need less of the spectacular and more of the consistent, the clinical. This is where Negredo fits in. He doesn’t have the raw pace of Defoe or genial feet of Adebayor, but he is a relentless goal scorer. He scored 17 goals in 20 league games for Sevilla in 2013 including four, three and two-goal outbursts. This is exactly the kind of reliability Spurs need. Unlike some other options Spurs have been linked with, Negredo is no one-season wonder. In the 2010/11 season he scored 29 goals and in 2008/09 he scored 21. In between he got 14 and 15 goals respectively. So even on a relative down year he’d still have been the second highest scorer at Spurs last season. He has good size and strength for the Premier League, having played most of his career as a lone front man in front of three attacking midfielders, which is exactly what Spurs would need him to do. Sevilla don’t sell cheaply but a bid of £20m would give them a big decision to make. Although they are not desperate to sell, they have always been willing to for the right price. Navas was sold to City and they sold Sergio Ramos to Real Madrid for big money. It’s a lot of money for Spurs to be paying but if they have serious intentions of keeping Gareth Bale and getting in to the Champions League, they need to make moves like this. Negredo doesn’t have the raw physical talent of a Christian Benteke or Leandro Damiao but Spurs have been down the athlete route many times before. They just need someone to put the ball in the net from the endless supply provided by Gareth Bale. Of course, this sort of quality won’t go unnoticed. Negredo has made it clear he wants Champions League football but that somewhat limits his potential landing spots. Atletico Madrid are known admirers and are looking to replace Radamel Falcao. There’s a possibility that a sale of Robert Lewandowski could see Borussia Dortmund attracted but beyond that, short of a move to Russia, the Champions League options are limited. Although there is one other Premier League club who could be a dark horse. If Chelsea miss out on all of their other targets they can’t be discounted. However, Spurs are in a very strong position to attract Negredo. It’s pretty much a fight between them and Atletico in all likelihood and the prospect of being crossed to by Gareth Bale should be an enticing one. Real Madrid are not going to be popular with Spurs fans this summer. Not only are they actively courting their star man Gareth Bale but they may now also be responsible for them losing their manager Andre Villas-Boas. Real’s first choice to succeed Jose Mourinho as manager is PSG boss Carlo Ancelotti, and Ancelotti hasn’t hidden his desire to take up the offer. If he goes, PSG will need a new manager, and with their own first choice Guus Hiddink committing to another season in Russia the French champions have turned their attention to Villas-Boas. It is conceivable that Real Madrid may even cost Spurs both Bale and AVB. In fact, one may cause the other. 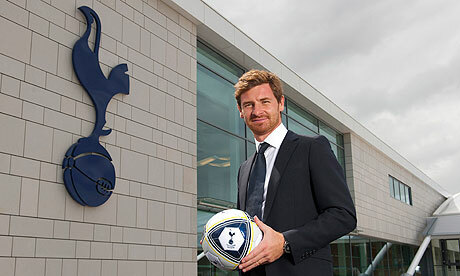 Andre Villas-Boas came to Spurs last summer with plenty to prove after his disastrous spell at Chelsea ended in disarray and sacking. He had been the hottest managerial name in Europe in the summer of 2011, fresh from an unbeaten and Europa League winning season with Porto and as one of the Jose Mourinho stable he had impeccable pedigree. However, by 2012 his reputation was sullied, seemingly unable to impose himself on the Chelsea dressing room that he had once been a mere analyst to. It was therefore a big leap of faith from Spurs to appoint him, and to essentially sack Harry Redknapp in order to do so. He was very grateful to the club for trusting him and he repaid them with fifth place and a points total that would have guaranteed Champions League qualification in most seasons. He took Gareth Bale from star to megastar and helped turn Jan Vertonghen in to one of the signings of the season. He did a great job at Spurs, and his reputation is quickly regathering, particularly in light of his work with Bale. This has made him a desirable proposition for PSG. They have their own burgeoning megastar in Lucas Moura who they will feel AVB can teach and coach up in the way he did with Bale. PSG invested nearly £40m in the young Brazilian so they need to get the most out of him and AVB has shown he can do that. The other reason they are turning to him is that they are very big on the ‘project’ in Paris. They want a long-term manager and they want him to win them multiple Champions League titles. Well, Villas-Boas is only 35 and has already shown he can win a European trophy, so he is a very logical choice. PSG play a 4-2-3-1 system, which is what Spurs used last year, so PSG wouldn’t need to overhaul the personnel either. It all makes sense. 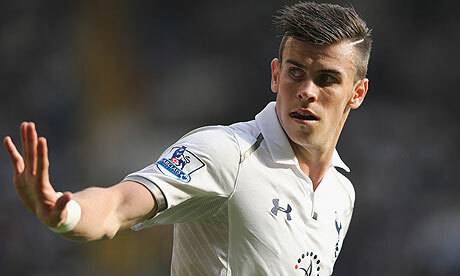 The pros to staying at Spurs are that if Bale stays he has one of the best players in the world at his disposal. His job is under absolutely no threat, the club seem willing to commit money to him in the transfer market and they gave him his opportunity to return to management at a major club. He may feel a sense of loyalty. The cons to staying at Spurs mostly revolve around Bale. If Spurs sell him then despite pocketing a massive transfer fee they would have sold one of the top five players in the world. It’s all well and good signing decent replacements in different positions, but without Bale it will be much harder to get in to the Champions League. This could be something AVB feels he can’t achieve at Spurs. With such congestion at the top of the Premier League, seven teams to fit in to four, three will always miss out and more often than not Spurs would likely be in that three without Bale. The pros of going to PSG are that he will have a ton of money at his disposal, far more than Spurs could offer. He also would be taking over a better team. Spurs have three elite players, but PSG have twice that. They are near enough guaranteed to get in to the Champions League every year, which then gives him an opportunity to win it. PSG seem willing to be patient with a manager. The cons to moving to PSG are that the club has only had success so far. If, as is likely, they struggle to make an impact on the market this year despite their money and don’t progress in Europe the patience of the ownership would be tested. They haven’t had to experience a negative outcome yet. If he did fail he would have failed at two of the richest clubs in the world, pretty much ending his chances of getting another go somewhere else. It would be a big decision for AVB to make. If Spurs keep Gareth Bale and add to their squad he should stay. No one in the Premier League has a player like Bale so with the right additions they could even compete to win the league. If they sell Bale he should go to PSG where he would have more chance at winning regularly. Christian Benteke – Tottenham, Arsenal or Liverpool? Last summer Aston Villa bought Christian Benteke for £7m from Genk, a move that even Belgian football pundits thought fraught with risk. Now, they have one of the most desirable players in the Premier League, who is being linked with Spurs, Arsenal and Liverpool. They have been attracted by his prototypical physique, speed, power, goals, heading ability and the fact that he improved so quickly last season. So if Spurs, Arsenal and Liverpool are the domestic suitors, where would be best for him to go to? Or would he better off staying at Villa? 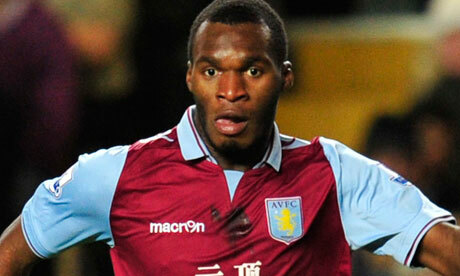 Spurs are being linked most strongly with Benteke of the three so are a logical place to start. There is no doubt, and precious little secrecy about Spurs’ summer priority and that is to sign an upgrade on their current strikers. They have been linked with Leandro Damiao, Jackson Martinez, Pierre-Emerick Aubameyang and Benteke most prominently. There is an obvious theme to all of these; physical presence combined with ruthless finishing. In other words, they want a hybrid of what they currently have. They want the power and pace of Adebayor with the finishing of Jermain Defoe. What all of these options have in their favour is consistency, but what makes Benteke such an intriguing option is that he has done it consistently in the Premier League. He has already shown that he can score goals against the opposition Spurs will have to overcome to get back in to the top four. Now, despite his improvements, he is still very raw. There is real doubt as to whether he is quite ready to lead a team to the top four and the idea of Spurs signing him depends of Gareth Bale’s future. If Spurs sell Bale they can’t sign Benteke to be their main man. He is not ready to be that figurehead at the top of the league. If they keep Bale, then Benteke would be a great option. Spurs are Bale’s team, so if he stays Benteke can play and learn and improve without the pressure of carrying them on his back. He would have a dream supply line to help him find his feet. Arsenal have also been linked to Benteke but it is unclear whether the Emirates would be the best landing spot for him. Arsenal play a different style of football to Spurs, where the striker is more involved in the build-up play. At Spurs he would be allowed to roam the penalty box as he was at Villa. At Arsenal he would need to be more sophisticated and versatile, and at this stage he is not ready to be that. Spurs bombard the box with crosses, Arsenal do not. They have got a big penalty box man in Olivier Giroud, supposedly to offer a different dimension but most of Arsenal’s goals still came with passing or quick counter attacking which is more reliant on the attacking midfielders. Benteke has more potential than Giroud, but at this stage is at best a minor upgrade. Arsenal seem to readying bids for players like Stevan Jovetic, who carry an expectation of a title challenge. They would be better off spending big money on a world-class striker for the time being. Liverpool have supposedly joined the race on the basis that Luis Suarez could be leaving. But, since the arrival of Daniel Sturridge, Suarez has played either in behind or out left, his old Ajax position. Sturridge is the striker that Brendan Rdogers believes in. He wants three tricky attackers in behind a quick goal-scoring striker. He seems to be prioritising adding a third option to Philippe Coutinho and Iago Aspas rather than striker. There’s a possibility that Sturridge could be moved wide right but that’s not why he was bought. Benteke’s role at Anfield is undefined. Villa will of course, not let him go lightly, if at all. The problem for any club trying to buy him will be finding a fee that Villa find acceptable. 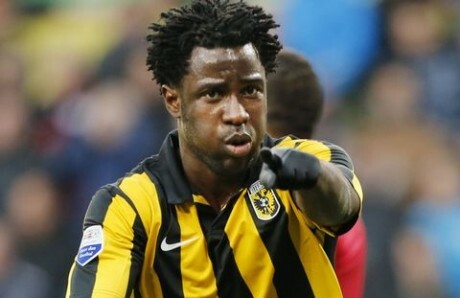 He’s probably worth £15m or so, given his raw talent and goal output, but he is worth more than that to Villa. If they sell him, who are they replacing him with? He was singlehandedly responsible for them staying up last season so selling him would be a huge risk. The best solution for Villa would be to keep him for this season, and if he’s scored another 20+ goals he will be worth £20m, and more. There is no reason for them to sell him this summer unless they get a mind blowing offer. For Benteke, another season as guaranteed starter could give him the edge over Romelu Lukaku in the race to start for Belgium at the 2014 World Cup.